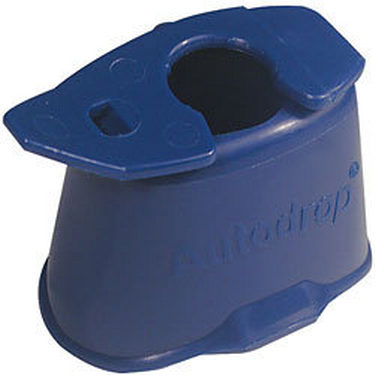 Autodrop Eyedropper Aid by Owen Mumford provides easier, more accurate Eyedrop Instillation. 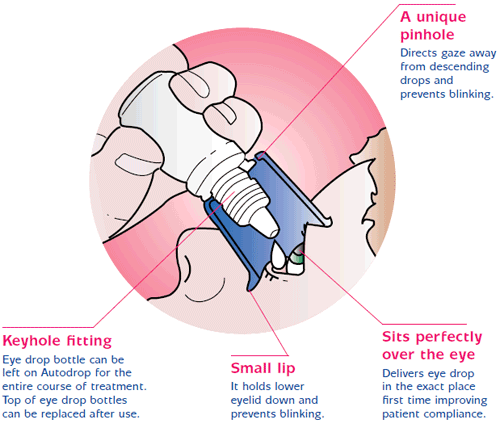 Clips onto most eyedrop bottles and holds bottle at correct angle over eye. Special cup prevents blinking by keeping lower eyelid open. Unique pinhole directs eyesight upwards and away from descending drops. Made from polypropylene for easy cleaning. 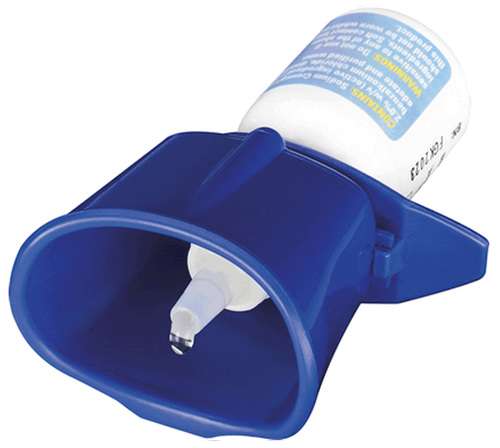 Owen Mumford Autodrop Eyedropper Aid can be used with virtually all eyedrop dispensers. 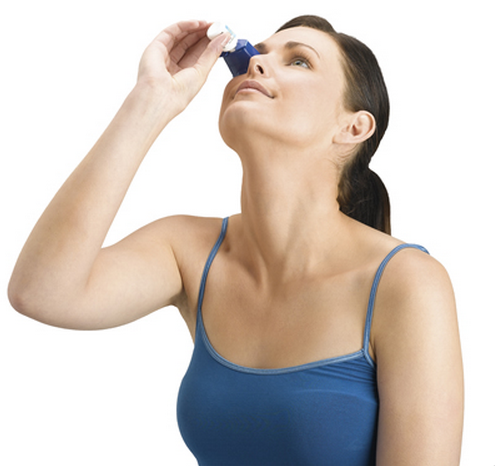 Provides easier and safer eyedrops. Directs gaze away from descending drops and prevents blinking. 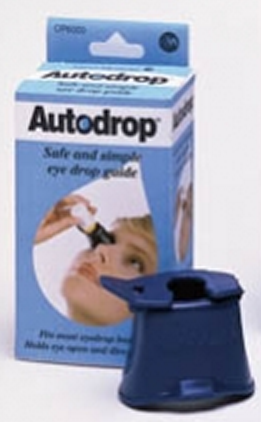 Owen Mumford Autodrop Eyedropper Aid Product Number: OP6000.